Kildare Town Centre comprises a modern mixed use development located in the centre of Kildare town just 75 metres west of the Market Square. The property is situated on the south side of Claregate Street, at its junction with Bangup Lane. Kildare town would be considered a commuter town of Dublin and has a population of 9,859 (Census 2016) up 5.7% on the previous census figures. The town benefits from direct access onto the M7 motorway and to railway services into Dublin Heuston providing commute times as quick as 35mins. 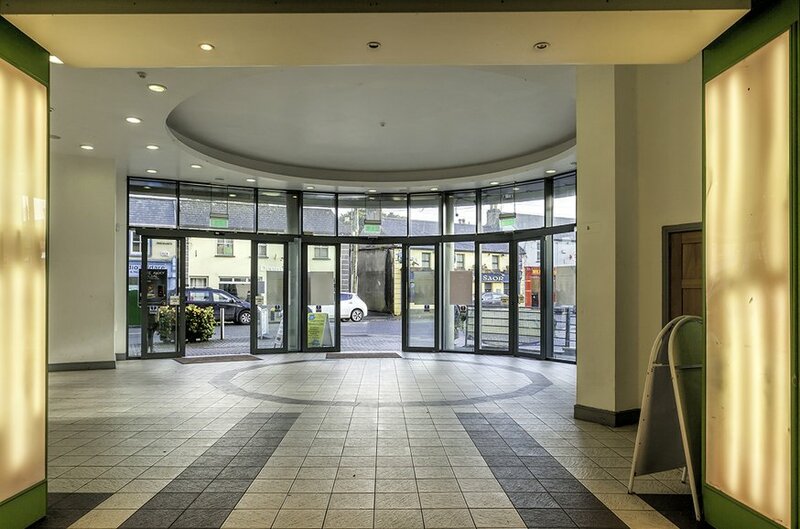 In recent years, the amenities of the town have improved considerably with the arrival of Kildare Village in 2007 which has continued to improve with the opening of its recent extension. 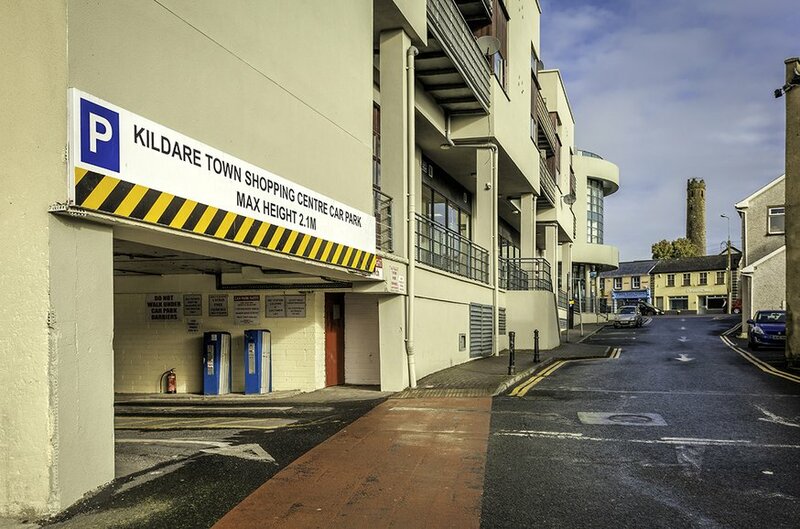 Kildare Village provides an important source of direct and indirect employment in the immediate area. Plans for Phase 3 were announced earlier this year which would bring up to 500 new jobs if developed. 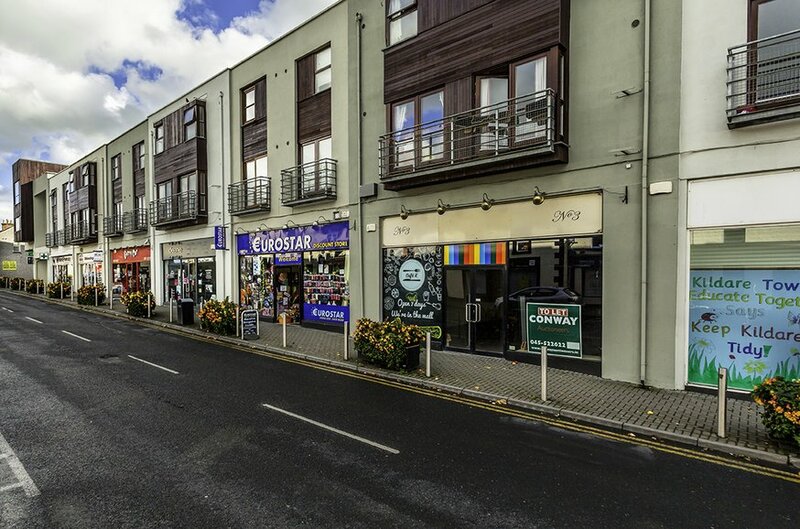 The collection of commercial units comprises 14 retail units, 2 office units, 3 kiosks with car parking at lower ground level within the larger Kildare Town Centre mixed use development built circa 2005. The units are arranged over ground, first, and second floors of the development with residential units in separate ownership located overhead. Five of the external units also benefit from lower ground floors that have separate access from the rear service yard of the development. A number of new lettings have been agreed in recent months with three tenancies currently in the process of being formally documented. Tenants in the collection include Kildare County Council (Public Library), the local Post Office, Whelan’s Pharmacy and Specsavers (offices). 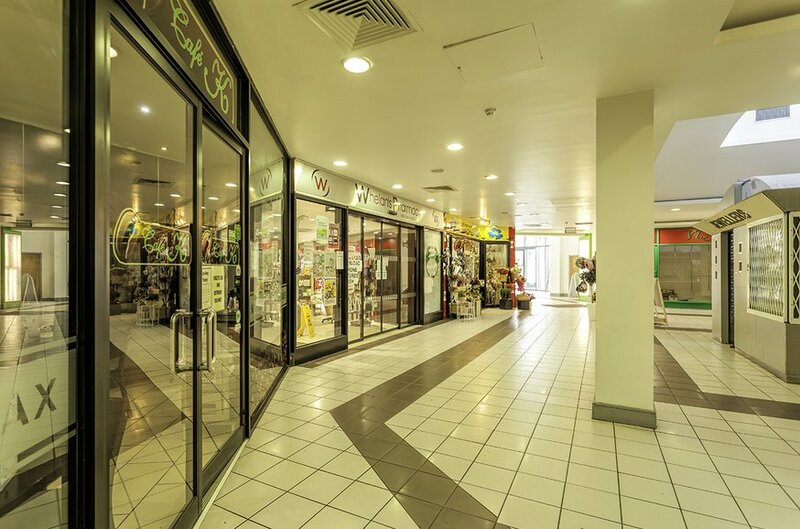 High yielding collection of retail, kiosk and office units within the larger Kildare Town Centre mixed use development built circa 2005. 14 x Retail units, 2 x office units, 3 x kiosk units together with car parking at lower ground level. Entire extends to approximately 2,358sq.m (25,377 sq.ft) GIA. Current passing rent of €213,350 per annum with a WAULT of 6.46 years. Stepped rental increases for an additional €10,000 per annum within the next four years. 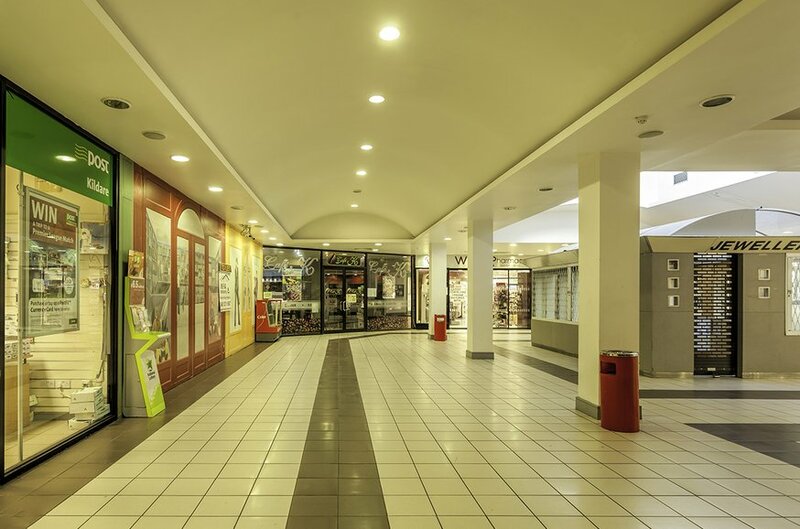 Immediate asset management opportunities to increase rental income further in the form of 5 vacant units. No.4 G.Floor Lower GF 812.57 699.65 1,512.22 Deane Hair Design Limited €12,000 €12,000 16/12/2003 15/12/2028 N/A Personal Guarantee from the proprietor. No.6 G.Floor 543.58 Private Tenant t/a McLeans Property Agents €19,600 €10,000 19/12/2003 18/12/2023 N/A No formal abatement documented. No.7 G.Floor 2,088.20 Irish Health Pharm Limited t/a Whelan's Pharmacy €100,320 €26,850 16/12/2003 15/12/2028 N/A No formal abatement documented. 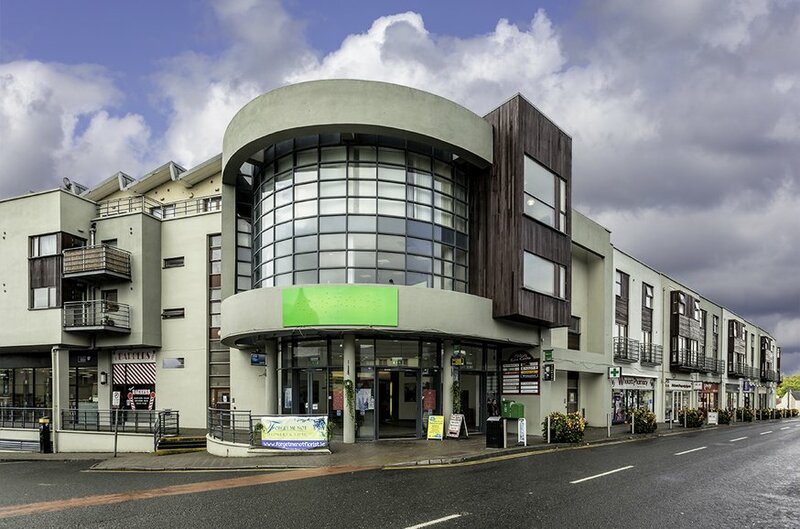 No.8 G.Floor 312.15 Private Tenant t/a J&T Barber Shop €5,000 €5,000 In Legals N/A New letting currently in legals. No.11 G.Floor 1,182.00 Hugo & Cora Ltd t/a An Post €10,000 €10,000 01/10/2006 30/09/2026 01/08/2022 Rent rebased. New deed of variation signed. NOTE: The passing rent has a current WAULT of 6.46 years. All interested purchasers are specifically advised to verify tenancy details and floor areas as part of their pre-purchase due diligence. Viewings are strictly by prior appointment only. For further informaiton please contact the joint selling agents Lisney and Conway Auctioneers.